Wondering where and what supplies to buy to start bullet journaling right now? 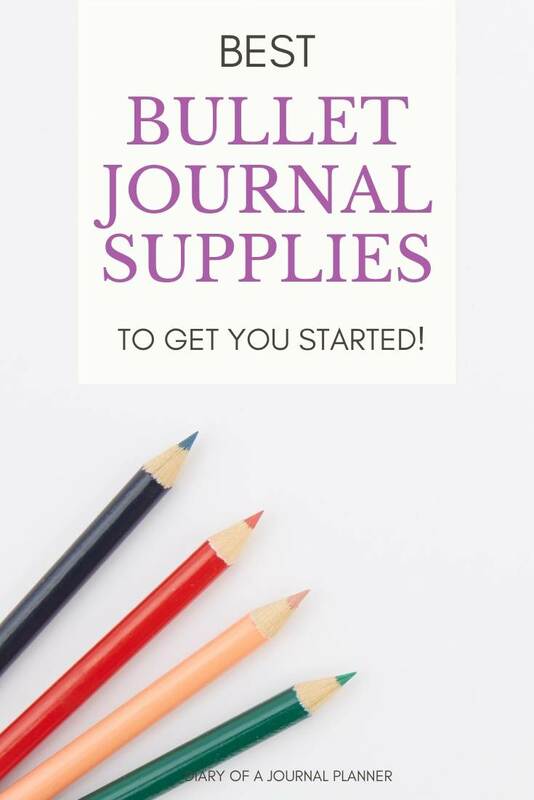 Read on to find the ultimate guide to the best bullet journal supplies to buy! 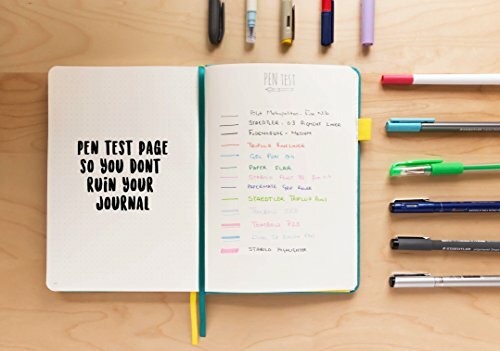 So, looking for new, fun and useful supplies for bullet journal? Or you are just learning about the basics of bullet journaling and wondering what tools to use? Today you will learn about the actual supplies you are going to need to get productive and reach goals plus my all time favorite bullet journal for artists supplies and accessories. 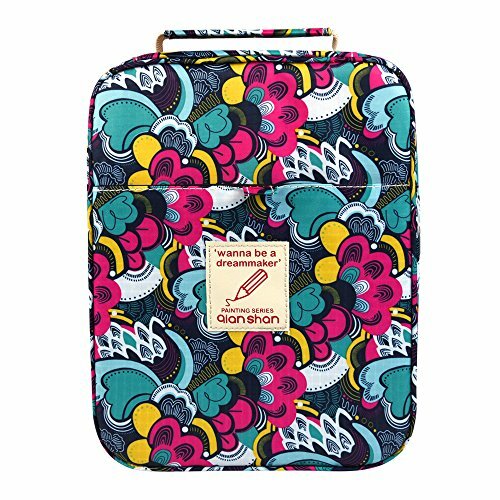 If you can’t find your bullet journals items in a store near you I suggest you to get it online from Amazon. 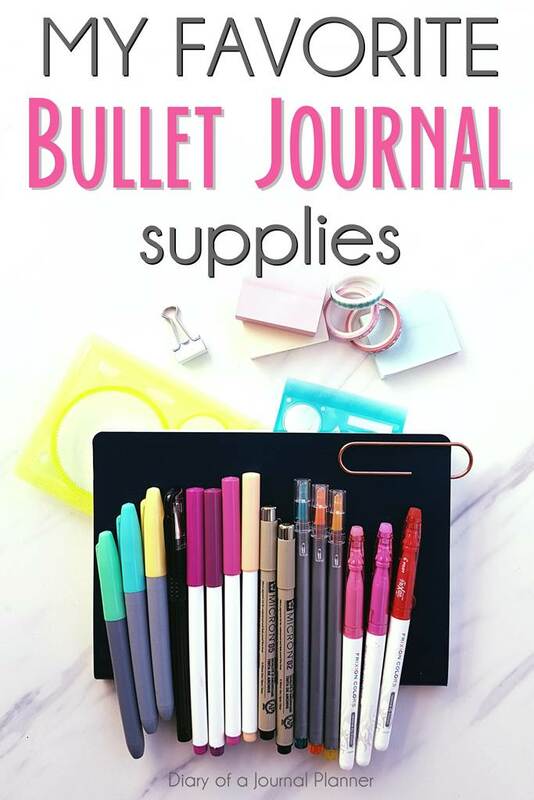 They have a huge range of tools for bullet journal and fast delivery so you won’t have to wait too long to start bujoing. Find out below my list of best supplies for bullet journaling! The first thing you will need to start your bujo is a journal notebook itself! But, what notebook to use for bullet journal? 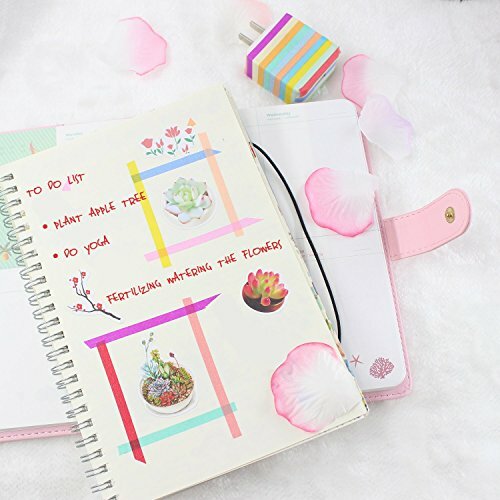 There are several options for you to use and you will eventually find the best journal notebook for your needs. For beginners, you don’t need to worry about the type of journal you get from start. Eventually you might upgrade to a different notebook when you get a handle of bullet journaling and have more ideas on how to make it work for you. Rhodia notebooks are one of my favorite journals to bujo in. The paper quality is just superior and if you like to play around with colors and use your bullet journal also for art journaling, bullet journal hand lettering or for any other creative purposes then this notebook is for you. The book is durable quality bullet journal dotted paper that will stand the test of time and not bleed through with the use of several pens. You really can’t go wrong here. Unlikely other journals I am mentioned below, they don’t come with pre-printed index and future log pages etc, but I have come to experience that not everyone finds them as useful (and of course you can always add these pages yourself). For me the hard cover notebook is the best dot journal you can have but they also have a soft cover one which is cheaper but with good quality paper too. 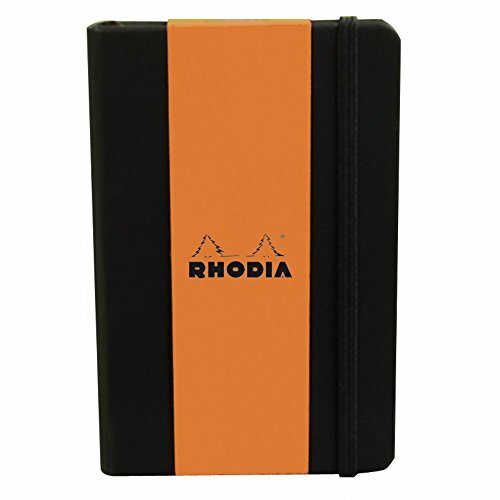 Buy your Rhodia notebook here! Leuchtturm1917 makes one of the most popular dotted paper journals available and is the company that actually print the bullet journal notebook. Their journals come with a printed index notebook page, numbered pages and a envelop pocket at the back. These journals come in a huge variety of colors which is always a plus, right? These are good bullet journal notebooks and they affordable, however the paper quality is not as good as the one listed above from Rhodia. Still a great option if you don’t play with a lot of pen colors or don’t mind a little ghosting. Buy your Leuchtturm1917 notebook here! Another great journal with all the little extras like the Leuchtturm book above (notebook index page, key page, back envelop pocket, numbered pages) plus a pen test page. The new version of this book doesn’t have the Scribbles That Matter engraved features in the hardcover which I thing is best. The journal comes with a great binding but the paper might see some bleeding and ghosting depending on the pen used. Buy your Scribbles That Matter notebook here! Now, we are going to check some writing utensils for bujos. This category is very subjective because it depends again on what you like writing with and how creative you want to get on your planner. 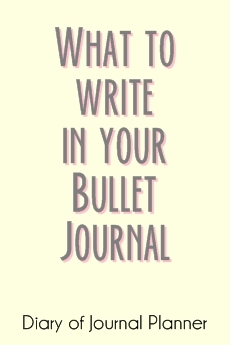 To be able to follow the original bullet journal method you really don’t need more than a single pen you enjoy writing with. However, you might find that with time you will want to try different varieties of pens. It is always good to have colored pens when you are writing different collections or making trackers on dot paper. It helps you stay organized and easily look at the information. My favorite brands of pen include, amongst others, Pilot, Sakura, Tombow, Steadtler, Faber Castell and Crayola. 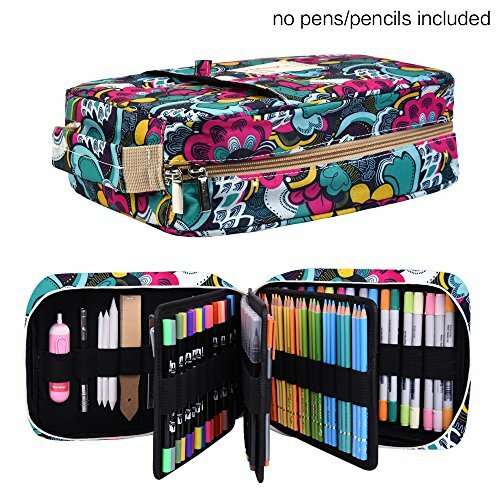 Below I am going to show you some writing, drawing and colored pens that I personally like and think are good pens for bullet journaling! These are my everyday bullet journal writing and drawing pens. They are made with archival ink which is waterproof and doesn’t bleed through any of the paper I have ever used. I have a set with all the fineliner nib sizes and find it extremely handy to draw my doodles depending on the thickness of the line I need. And I can color afterwards with watercolors and it won’t blend together. My all time favorite bullet journal pens. They are designed as drawing pen but I find them easy to write with too. Get your Sakura Pigma Pen Set here! 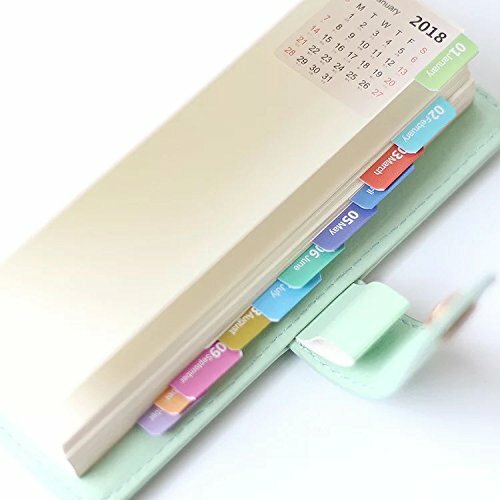 I recommend this amazing fountain pent o both women or men bullet journaler. It also makes a perfect bullet journal best pens all-occasion gift. This stainless steel fountain pen nib reflect the highest standards of Pilot craftsmanship but with super affordable prices. You just can’t go wrong here! It an affordable luxury that will take your journal writing experience to the next level. 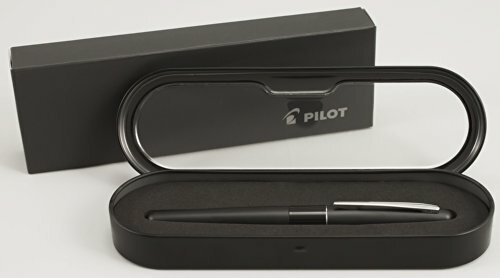 Get your Pilot Metropolitan Fountain Pen here! 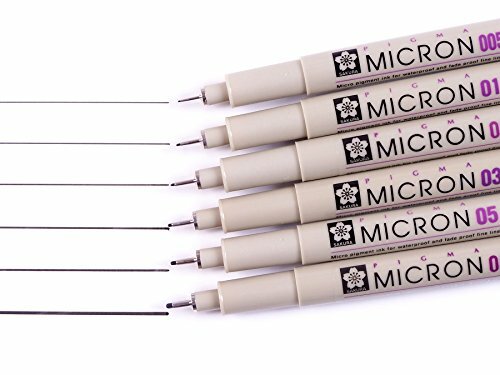 These are great writing pens but come in so many colors that you can easily use them for drawing and coloring too. The gel pens deliver very vivid lines and are super smooth to write with, however the amount of ink that comes from them normally means that you will see smudges of color if your hand pass through it before it dries. This is where the Paper Mate Inkojoy pens come in handy because they have a new technology that allows to ink to dry 3 times faster preventing smudges. Definitely one of the best colored pens for bullet journaling. They are very comfortable to write with due to they rubber body and deliver a great writing experience. Buy your Paper Mate InkJoy Gel Pens here! 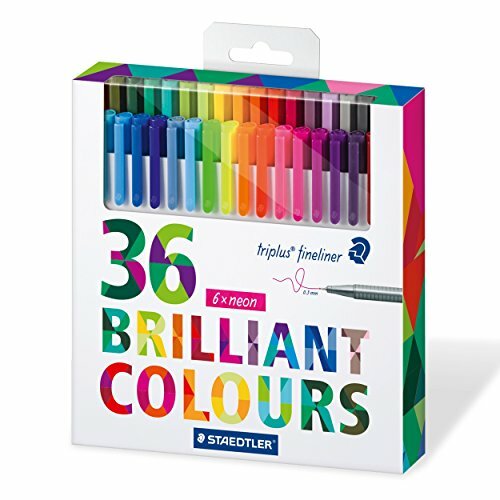 The assorted color range of the Steadler Fineliners is just amazing. They are perfect for drawing maps, charts, doodling or coloring and any other bullet journal art project. Amazing pros aspects of these pens include the non-toxic acid-free water-based ink (that is easily washed from clothes or surfaces and doesn’t bleed through paper), dry safe feature (doesn’t dry even without the cap) and the triangular shape that is designed sit very comfortable in hands for hours of fatigue free writing. Available in 20 pen, 36 pen, 42 pen and 50 pen-pack. Get your Staedtler Color Pen Set here! I separated this section from the previous one because I use most of the marker pens here for my bullet journal art. The ones listed above are good pens for writing while these ones here I use for coloring, decorating, doodling and hand lettering. So, if you are not interested in using a bullet journal as a creative outlet and keep things minimal on point with the rapid logging, then perhaps you can skip reading this section all together. I am going to show you some of my favorite bullet journal markers, highlighters and brush pens that you can use in your sketchbook or art bullet journal. 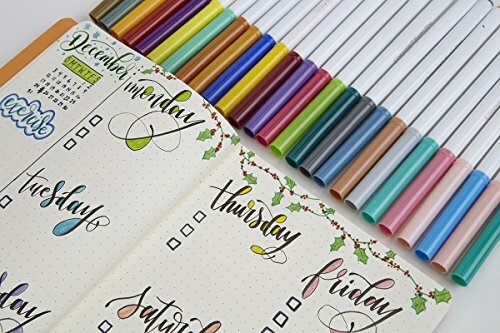 I am a big fan of the erasable Pilot Frixion Colors – nothing beats the ability to erase your mistakes specially when you like to keep your bujo clean! The have soft colors, almost as though they were highlighters, so I use them to underline and highlight places, for small coloring, doodling and decoration around my pages and to test new headers for my collections as if I don’t like it, I just erase! The caveat with the erasable pens is that in time they may fade and erase if exposed to heat, so I don’t write important things with them. But they are a lot of fun to work with and I use them quite a lot. Click here to get you Frixion Colors! Yes, these crayola markers that you used as kids and your kids use at school are perfect bullet journal tools. 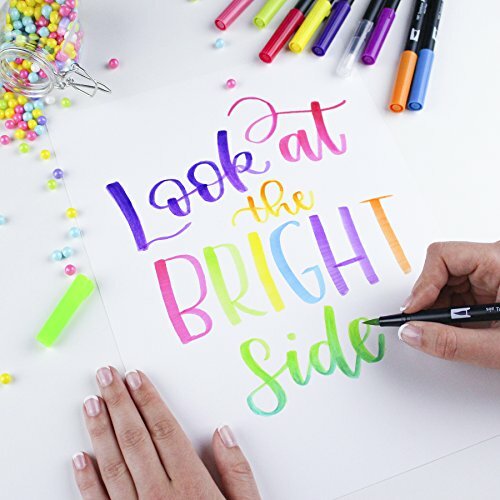 These markers are washable and come with a edge wedge nib shape that allows you to create thick or thin lines and be super creative with your artwork, hand lettering, faux calligraphy and craft in general. 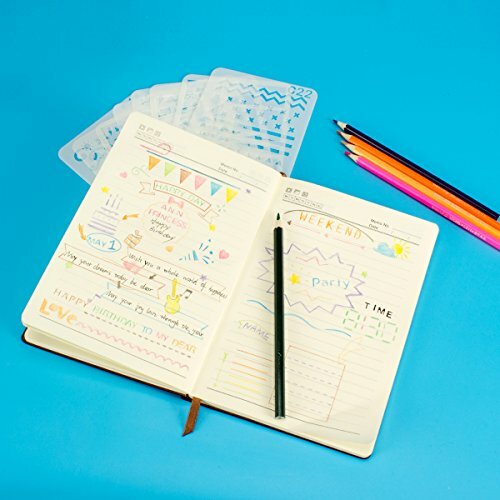 They are super cheap bullet journal supplies to have, specially if you are just starting and has a super limited budget. From start you will have a amazing range of colors to play with. 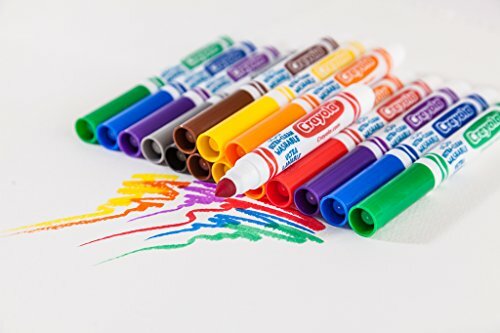 I love both the Crayola markers and the Supertips markers and have a set of each, they do change in color range and are available in different size packs. Get your Crayola markers for bullet journal here! These are high quality artists brush pen but even you are not artist you will love these pens just as much! 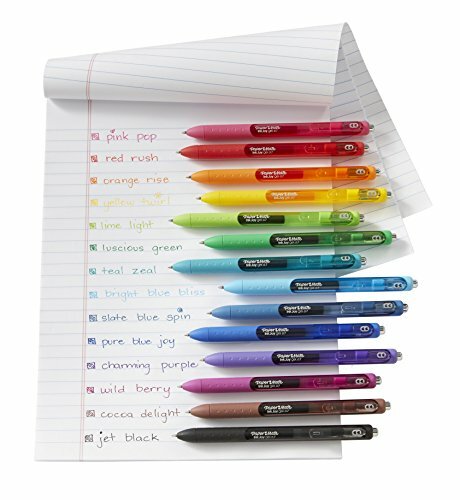 The come in vibrant colors set of 10 pens or a full set that contain 96 colors. Proportionately, buying the full set is more advantageous if you have a budget because the price per pen is lower. Also, if you collect set by set, you will end up with repeated colors and many blending brushes. The dual tip design gives you a fine tip for detailed outlining and brush pen for shading, coloring and watercolor blending effect! They are everything you need to draw lines and details, sketch, highlight, practice bullet journal lettering, illustration, doodling and watercolor painting. I love them for practicing with my lettering bullet journal sheet and just coloring in general. Impossible not to fall in love with these pens. Get your Tombow Dual Brush Pens here! The Zebra Mildliners offer amazing pastel colors to your collection pens. They are mostly pastel and transparent so they definitely work as highlighters, the difference is there is only a couple of them that are actually neon, the majority are beautiful pastel tones. In fact, I haven’t found a pastel color range highlighters anywhere else. The Stabilo boss has some but limited to 6 colors. The only caveat with the mildliners is that you really need to paper test them because they will bleed through some paper. They also come in dual tip: a broad angled tip and a fine one for highlighting, underlining, drawing or writing. Get your Zebra Mildliner markers here! When you start putting your bujo together, you will understand that quite a few other supplies and bullet journal embellishments come in handy during your day to day planning. Below I show you some of my favorite ones. Perhaps not the first thing that comes to mind when considering bullet journal materials (specially if you use a dot or grid paper) but a ruler is one of the tools I use almost daily. I find that the best ruler for bullet journal let’s me draw quick shapes on my spreads, make check boxes for my trackers and create my weekly spreads so much faster. This ruler here has everything got everything to let you draw quick square or round shapes. 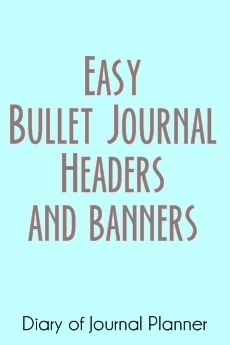 Get your ruler for bullet journal here! I also love using bullet journal stencil sets to decorate my page. I don’t use stencils all the time but when I am running out of time to make my spreads or when I want to keep everything very uniform, then stencils are super handy! Here is my DIY bullet journal stencil tutorial! 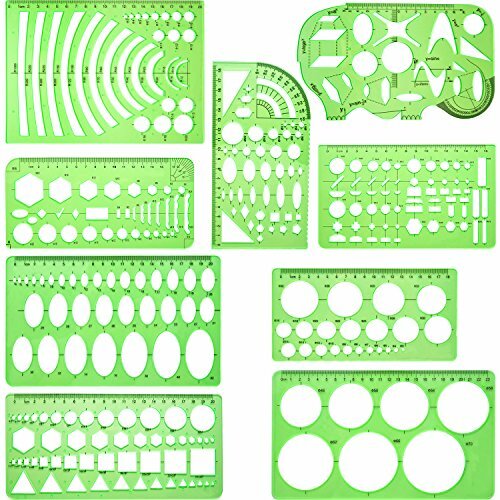 These are for me the best bullet journal stencils to buy. They come comes with so many numbers, letters, shapes, symbols and headers that will make any spread look amazing even if you are not artistic! 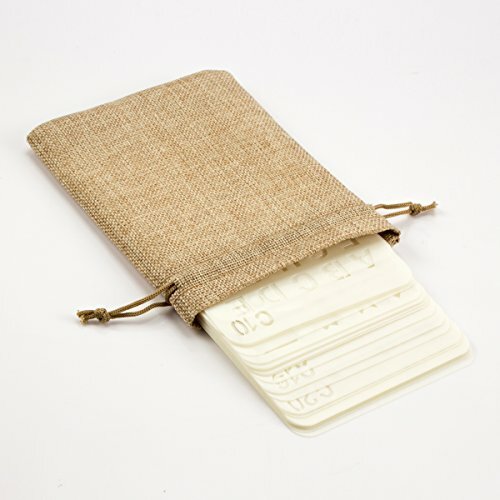 They will fit in the back pocket of your journal if you have one. Get your best stencils for bullet journal here! Rubber stamps are wonderful to add a little bit of detailed decoration to your pages and also help you with your planning. If you like to have a great monthly overview on your weekly spreads then this bullet journal calendar stamp here is perfect for you! Totally customizable for any month, just stamp them away in your spreads and have an overview of your calendar in every page. So easy! 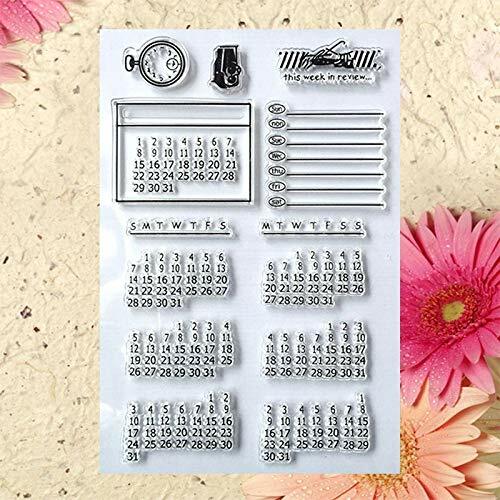 Get your calendar bullet journal stamp set here! 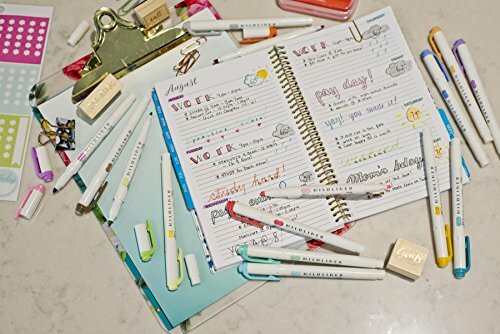 I love this sticker bullet journal set here with so many cool designs to embellish your pages. Get these cool bullet journal stickers here! 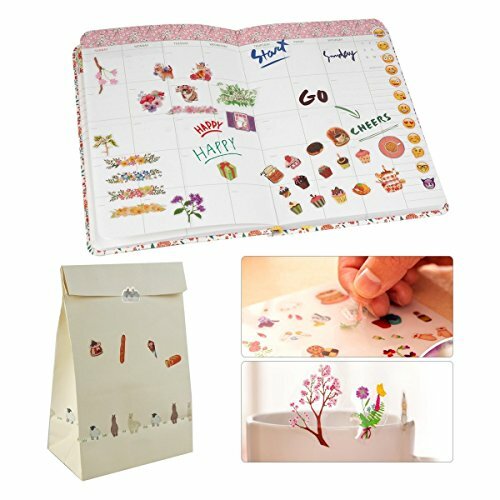 These bullet journal calendar stickers are also amazing to help you index your month and keep you on top of your appointments! 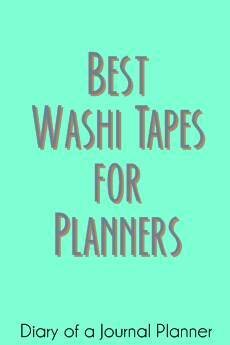 It is no surprise that I am a lover of all things washi tape! 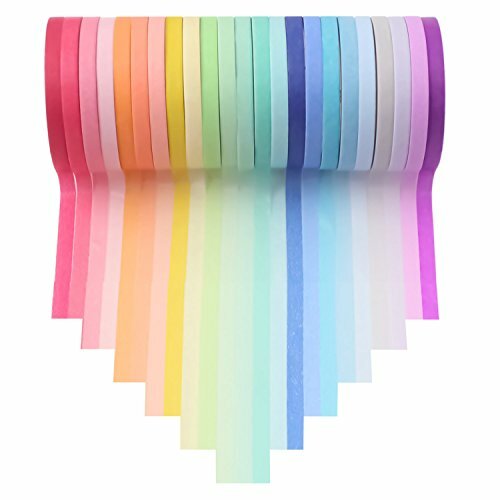 I have written a post here about my all time favorite washi tape for planners and bullet journal addicts, check it out! If had to pick one washi tape set though it would be this one here! 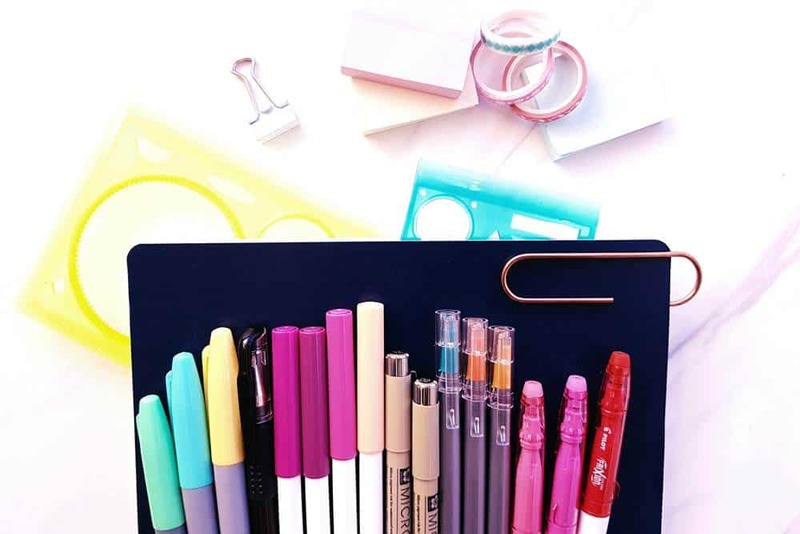 Of course, now with all these beautiful supplies, you need to keep organized and have a place to storage and carry them with you to work, school or vacation. In this post here I have listed some of my favorite bullet journal and planner storage cases, check it out! This case here is one of my all time favorite! And that is it for now. Time to go shopping! 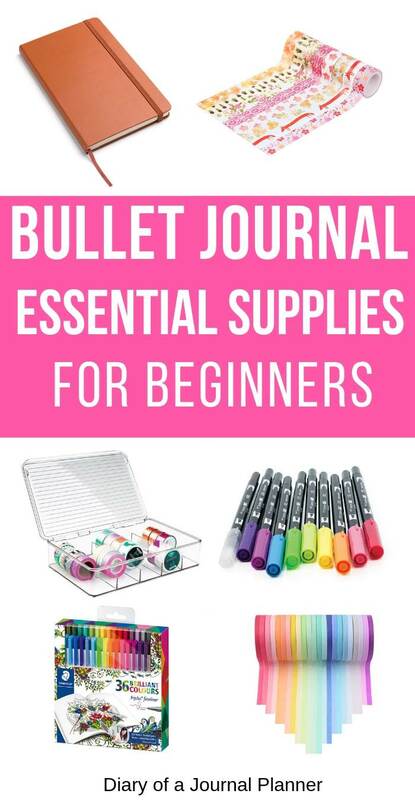 Have fun gathering your different bullet journaling supplies. What are your favorite supplies?